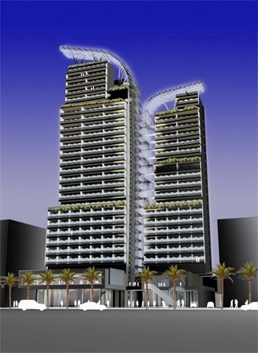 A new project that combines residential and commercial properties is being built in the heart of Larnaca, on a prime site of Phinikoudes beachfront. The high-end luxury project is built on over 5000 square meters of land and can be well- described as a multi-purpose establishment that combines a luxury hotel, block of apartments with amazing sea views, as well as commercial properties. An organic Mediterranean- style interior that defines the architecture of the project, is inspired by local traditional style. Being in the centre of town yet private, the project would offer a unique blend to its residents, who could also enjoy the hotel facilities in total comfort and privacy. For more detailed information, please contact the team of ReLux Estates professionals.